From logins to cookies, many pharma marketers are discovering the limitations of time-tested audience management technologies. Being able to identify an audience in real time allows pharma marketers to engineer their website for a variety of content presentations. 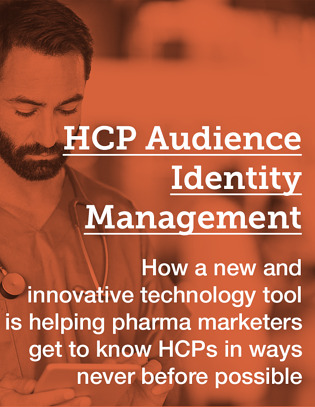 With the help of the Audience Identity Management you can learn exactly who your HCP visitor is. Download the ebook now and harness the power of audience knowledge.